One of the nicest things you can do for your Dad on Father’s Day is make him feel appreciated, loved and special. What better way to do that than make him a fun scavenger hunt. With TextClues it’s easy to set up a great scavenger hunt for him to play by using his cell phone. When setting up your own personal scavenger hunt think about your Dad’s interests and hobbies and jot down some notes of various questions you might use for the hunt, also decide whether Inflatable Water Park For Adults you’ll use small gifts along the way, as he solves some of the clues, or just a special gift at the end of the hunt. For example, you could hide small gifts or notes under the bed, in the garage, in the shed or under the sofa etc. and send him text message clues to solve in order to find his gifts. Pick the time you’d like your scavenger hunt to begin, here at TextClues you create your own custom scavenger hunt. You pick the day and time you’d like your hunt to start and at that time your first text message will be sent to him challenging him to accept his scavenger hunt. Then you can sit back and see how much fun he’ll have. Clue: Great, glad you’re up for a challenge. Answer this – What three endurance sports make up the triathlon? Clue: Well we’re off to a good start! Next question, after retiring as a player, with which team did baseball great Babe Ruth spend one year as a coach? Clue: Well you’re really doing well. Check upstairs in the linen closet and see if you can find your paper clue and text back the answer. Clue: Excellent, it’s your favourite kind. In 2015 which horse won the Triple Crown at Belmont Park in New York? Clue: Now take a walk outside on the deck, look under the patio table for a surprise! With this final clue, he goes outside on the deck and finds a gift bag hidden under the patio table with a gift of some tickets to see one of his favorite sports teams inside. Well, you get the idea. You can make the hunt as involved as you’d like using lots of clues and surprises along the way. Get started making your own Scavenger hunt with TextClues. Personalize it for the special Dad in your life. Go try our free demo right now! Easter is coming up this weekend, so it’s a perfect time to organize a unique Easter Egg Scavenger Hunt for someone special. Using a text message to send out the scavenger hunt clues to any cell phone makes for an egg-citing interactive Easter egg hunt that you can set up ahead of time. With this interactive text message tool, you can even set up World’s Biggest Bounce House several different scavenger hunts that will start at the time you decide, so if you have two or three other children they can each follow the same or different clues and have a great time doing their individual hunts. It’s really simple to set up your scavenger hunt with Textclues with a little preparation ahead of time. First, pick up some colourful plastic Easter Eggs to hide some treats in (you can even hide small prizes at each location so that your hunter can full up their Easter baskets with goodies along the way) and then at the last location of the hunt you can hide your BIG EASTER SURPRISE (e.g. 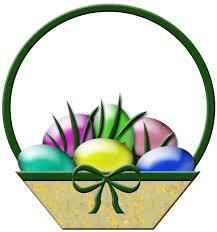 a big chocolate egg, a cuddly stuffed animal or a basket full of goodies). Clue: For homework, the Easter bunny sits here to make all the eggs, it has drawers, a few shelves and four legs. Have fun with your hunt, you can make it as easy or complicated as you like. If you want to add some educational touches to it, go for it. If your kids are older make the clues a bit more complex and more of a challenge to find. Have fun personalizing it for your family. Happy Easter everyone. Go try our free demo right now! 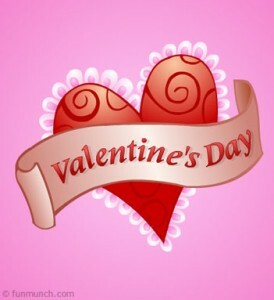 Valentines Day is the perfect time to set up a scavenger hunt for the special person in your life. Creat your own clues for them to follow with the prize of a gift chosen especially for them, they’ll love it. Here at TextClues you can easily create a text message scavenger hunt. Our system automatically sends and responds to text messages to your loved one’s cell phone, so you can actually watch and guide them through the hunt or sit back and just watch the fun. You can schedule the scavenger hunt to start at any time you like, or you could set up a few surprise texts throughout the day. It’s not difficult to set up your own special scavenger hunt, here are some ideas below to start you off. First, decide on your gifts for the hunt, you could buy a bunch of little gifts for her or him such as chocolates, movie tickets, candles, perfume, lip balm, Inflatable Football Traning Game nail polish, bubble bath, massage oil, gift certificate, etc. You can individually wrap each gift in a box if you’re going to have lots of little gifts or just have lots of clues leading to one special gift or surprise at the end of the hunt. Next, decide where you want to start and end the scavenger hunt, you can plan one for around your home or use the clues to lead your loved one somewhere for a special date or a special restaurant that you’ve booked. One thing you’ll want to do is make sure you can set everything up before your hunt starts. Finally, create your text clues, get a pen and jot down some ideas and try to make them personal and your loved one will know you think they are very special to you. 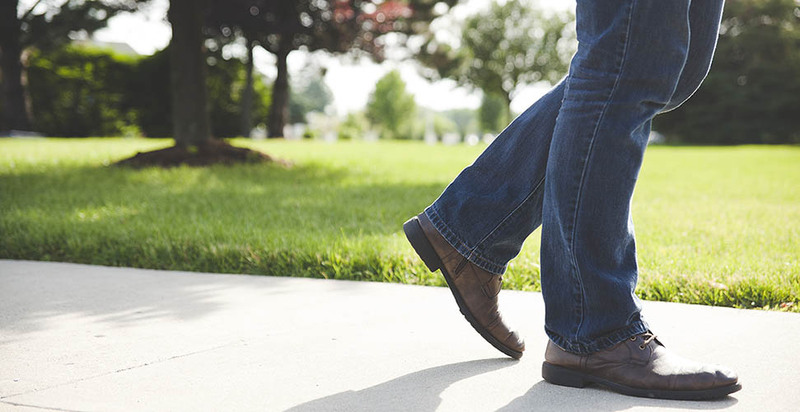 You can use clues incorporating any hobbies they might have, special places you have visited together, it can be as complicated or as simple as you choose. Clue: Where did we first meet? Clue: Perfect, take a look on the deck, right beside the BBQ, wrapped up in a bow is something special for you, what can it be? Clue: I know you love them, check out the trunk of the car, what do you find there? Clue: Especially for you, what is your favorite restaurant? Try our free demo right now! So with Easter only a week away, why not take a few minutes to plan out a super fun interactive way for the kids to find their Easter treats this year. Use a text message scavenger hunt to send your clues to any cell phone and the kids follow along finding hidden clues and treats. It is just like any other scavenger hunt but with the clues sent directly to the participants cell phone (if they don’t have their own, they can use yours) it makes the hunt more interactive. You can either give clues for hidden treats along the way or just have one big Easter treat at the end of the hunt, you decide. Now the best thing about setting this up with Textclues.com is that with a little preparation ahead of time you will have the hunt all ready to Ultimate Obstacle Challenge go on the day. With this tool, you can even set up several different scavenger hunts that will start at the time you decide. If you have two or three children they can each follow the same or different clues and have a great time searching for their treats. It’s so simple. To set up your Easter hunt, first, you’ll need to decide on whether you’ll give the kids a few treats along the way or a big treat on completion. Then think up some clues to lead them to a specific location to get their treat and the next clue. You should be able to come up with 10 – 20 clues without too much trouble. Clue: Your first clue is hidden in a place that’s not far, go to the cupboard where Mommy’s clothes are. (clue hidden in the closet says figure out this riddle – “The next place to look is always cold, with nice things to eat, maybe this is where you’ll find your Easter treats” text me the answer when you find what’s there). Clue: Well done! You’ve got your first treat, your next clue is waiting where you normally sit to eat. Clue: You’re doing well, check out on the deck, behind the chair, tell me what you find there. Clue: Correct, now turn to page 20 and read the note. Clue: Wow, you’re doing so well, continue on this way, we’re having lots of fun, here’s a riddle for you – I’ll let you open me whenever there is sun, what am I? 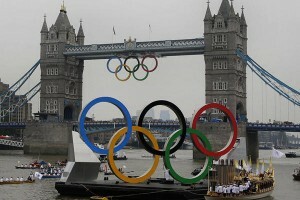 The London Olympics were a tremendous success and awesome event. If you and your friends followed every twist and turn and you want to have some fun with an after the event quiz to test your friends recollection of the event using a cell phone based quiz then TextClues is for you. TextClues allows you to set up a series of questions and answers in advance, the options are almost limitless, you are simply limited by your creativity and the time and effort you want to devote Sumo Wrestling Suits to the quiz. The TextClues website provides user friendly guidance on how to set up a quiz or scavenger hunt, it is very simple to use. Below is a short sample of some very easy Olympics questions to illustrate how the quiz would work. Questions are sent by text to the participants’ cell phones and when answered correctly a new question is texted, this process continues until all questions are answered correctly. Nothing could be simpler. To provide an incentive for all participants a clue to find the winning prize could be set up as the final text. See the TextClues demo and FAQ for more information and to answer any questions you may have. Question: How many Gold Medals did Michael Phelps win in the 2012 Olympics? Question: Who won the Gold Medal in tennis in the 2012 Olympics? Question: How many medals did the USA Team win in the 2012 Olympics? Question: The USA Women’s Soccer Team beat what country to win the Gold Medal? Obviously many more questions could be asked depending on the group’s area of interest and knowledge. The questions can be made as easy or difficult as you want although clearly you don’t want to make them so difficult that no one stands a reasonable chance of answering them all. On the other hand if the questions are too easy there would be no challenge. Use your judgement to determine the best questions to ask. A car rally is usually a fun treasure-hunt type of event in which friends get together and conduct a car hunt with the winning team getting a prize usually at a party after the car rally. Friends are divided into teams, each with a car, and these teams race to find and complete their list. Players can find businesses, landmarks, signs, or other things and you are limited only by your creativity. TextClues can be used to provide instructions and questions to the driving teams by cell phone, once they have texted back the correct answer they are provided with their next instruction and question until all the questions have been correctly completed. The first team to answer all the questions correctly is the winner. The rally can last hours or be a short rally dependent on the time you want to devote to the rally. 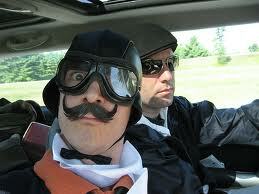 Below are a series of directions with questions and associated answers to illustrate a very simple car rally. Directions and question: Go to City Hall, how many windows are on the front façade of the building? Question: Go to McDonald’s on the corner of Main and Union, what is the building number on the first house to the East? Question: What sign is on the northwest corner of Trinity and 6th Avenue? Question: How many soldiers are listed on the World War II Memorial in Central Park? Question: Rounded to the nearest mile how many miles from Central Park to the Wal-Mart on Highway 1? Question: How many traffic lights do you pass between the Washington Bridge and the Starbucks on Avenue Rd? After all rally questions have been answered correctly a text message could be sent to the winner advising him or her of the prize for winning the rally. The TextClues demo should answer any questions you may have, otherwise visit the TextClues site for more information. With the upcoming start of the US Open Tennis tournament in late August at Flushing Meadow it might be fun to test your tennis friends and aficionados’ knowledge of tennis trivia in preparation for the big event. Using TextClues you can set up a tennis quiz using text messaging. To motivate your friends to participate you should probably have a worthwhile prize for the quiz winner. This is a fun way to get you and your friends in the mood as well as everyone learning perhaps some interesting factoids about the game, past winners and generating some interesting discussions and debates about tennis. A very simple tennis quiz is outlined below to give you an idea of what is possible with some simple questions. You would set up a series of questions and answers in advance using TextClues. These would be received and answered by participants on their cell phones at a tennis party or any venue which would work for you. Clearly you can choose whatever questions you want varying the level of difficulty to match the knowledge of your participants, the questions can be made hard or easy and you can ask as many or few questions as you want. You are limited only by your creativity and the time and effort you want to devote to the tennis quiz. Question: Who won the Men’s US Open last year? Question: Who was the last American to win the Men’s US Open? Question: In what year did Andy Roddick win the US Open? 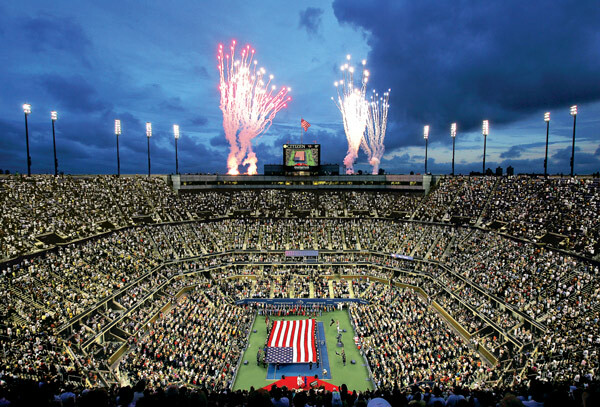 Question: What American Woman has played the most singles matches at the US Open? Question: Who holds the record for the most singles finals without a victory at the Men’s US Open? Question: How many singles finals did Bjorn Borg play at the US Open? The following text message could be sent after all the questions were answered correctly, you can choose any message you want: Congratulations, you’ve won as the first person to answer all the question correctly, look in the envelope on the dining room table to claim your prize ! ! The prize could be a pair of tickets to the US Open final. See the TextClues demo to assist you in setting up your tennis quiz. Good luck and match point. When you travel to other countries it’s always interesting to read up on the people and history of the country you are visiting before your trip. If you’re going with friends or family why not set up a travel trivia quiz before you go so that everyone learns something about the place they will be visiting in a fun way. With a tool like TextClues you can create a fun quiz using text messages on any mobile phone. You can research all your questions and answers beforehand and everyone will be sent the first question of the quiz at the same time. You can include questions about the local food, weather, and history and make it as easy or difficult as you like. Pick up a travel themed prize for the winner and you’re ready to go. Try making your own travel quiz with our free demo. 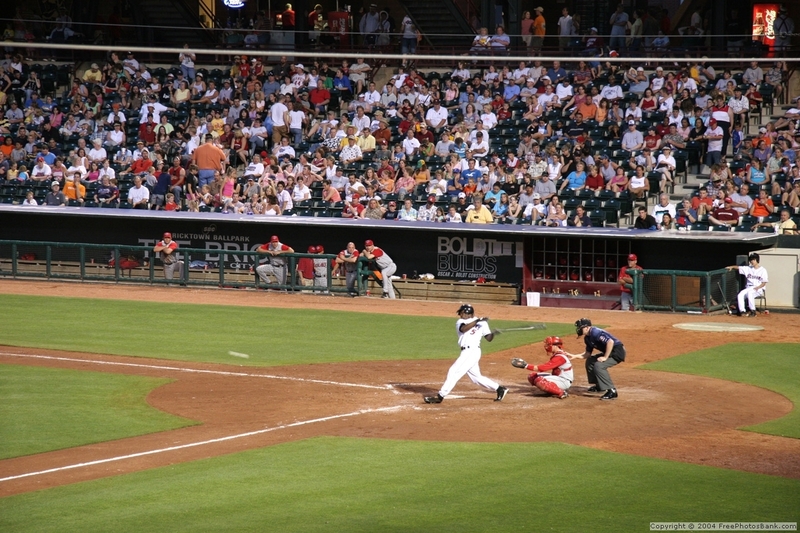 Baseball is one of America’s most popular sports and therefore it’s fun to test baseball fans’ knowledge of the game as well as baseball statistics using TextClues. All you need is some baseball loving friends who have a cell phone who have a strong desire to demonstrate their extensive knowledge of baseball. Get some prizes for the winner to make it fun and you’re ready to go. Below is an example of a Baseball quiz. Using TextClues you would set up a series of questions and answers in advance to be received and answered by your friends at a party at say your house on their cell phones. Obviously you’re free to use whatever questions you want, for example you could use only questions related to your home team. Many variations are clearly possible depending on the knowledge level of the participants, time you want to devote to the baseball quiz and the creativity of the baseball quiz organizer. Question: Who won the 2010 World Series? Question: What player won the 2011 National League Rookie of the Year? Question: Who won the 2009 American League MVP award? Question: Who was the National League pitcher who won the 2010 National League Cy Young? 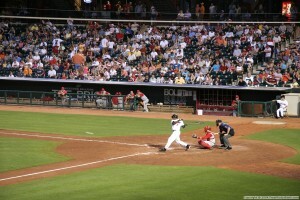 Question: Who holds the Major League Baseball’s record for highest batting average and most steals home? Question: Who holds the Major League Baseball’s record for most home runs? After answering all the questions correctly the following text message would be sent: Congratulations, you’ve won a prize, you’re the first to answer all the question correctly, look in the kitchen refrigerator to claim your prize ! ! (You could have a large pack of beer in the fridge marked “Baseball Prize ! ! “) To set up your own quiz, try our Textclues demo. Here’s an idea for all you fans of the TV show Coronation Street. If you’re anything like me you’ve been watching this soap for years, well how about you set up a trivia game for your friends and family who are also fans and test your knowledge. You could have your mother playing the game from her home and other family members and friends living in their hometowns all playing against each other, all they need to participate is the use of a cell phone. With Textclues you can organize all the questions and answers ahead of time and then have them texted to your friends and family anywhere in Canada or the UK all at the same time, this means that everyone starts playing at the same time too. Everyone could play individually or as a team. 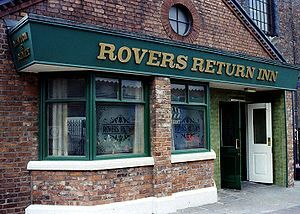 Most Coronation Street fans have been watching the show for years so there is plenty of scope for questions. You could have prizes of some Coronation Street memorabilia to be given/sent to the winner. This could be a fun way to connect your out-of-town friends and family. Maybe everyone decides to play on a particular Sunday evening at 7pm. Your first text could say something like “Welcome to the Coronation Street trivia game, reply “great” to start the game off.” Once they text “great” as their reply the first question of the game will be texted to them. Start off with a few really easy questions and then make them harder as the game goes on. Question: Who is married to Ken Barlow? Question: Who runs the hair salon? Question: What is the name of the pub on the Street? You can make the trivia game as easy or difficult as you want depending of the interest of the participants, what’s great is that you can input your questions and answers when you have time and on the day you decide to play everything is all ready to go. Hope this gives you a few ideas of how you can set up your own trivia game. Try out the free demo here.